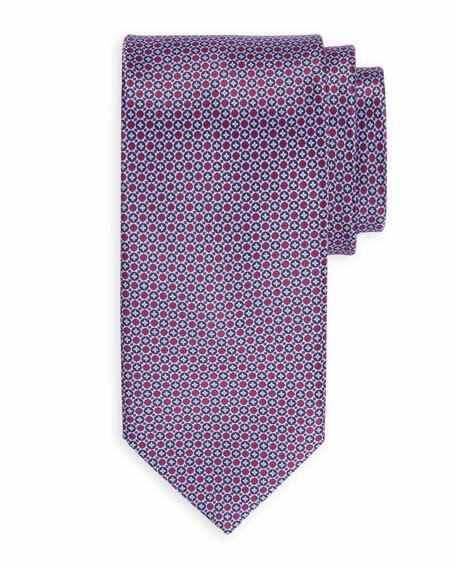 Stefano Ricci tie in small circle and hexagon print. Charvet tie in abstract floral motif. Approx. 57"L; 3.5" at widest. Silk; dry clean. Made in France. Charvet tie featuring spaced medallion pattern. Silk; dry clean. Made in France. Eton tie featuring paisley pattern. Approx. 58"L; 3.5" at widest. Silk; dry clean. Made in Italy.